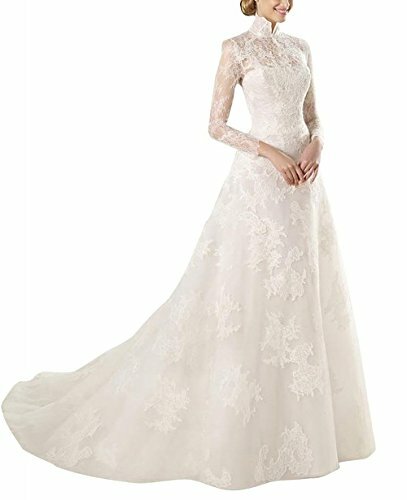 This vintage and elegant wedding gown offers a beautiful high neck with long sleeve. Made of soft lace fabric. Showcasing a natural waistline, A-line sweep train style. This dress is perfect for brides. Perfect for womens. And suit to your wedding occasion like church wedding, beach wedding and gardens wedding etc. If you have any questions about this product by M Bridal, contact us by completing and submitting the form below. If you are looking for a specif part number, please include it with your message.